Our mission is to provide each and every client with a transparent buying experience accompanied by unparalleled customer service at unbeatable pricing. Buying a diamond, gemstone, or piece of fine jewelry is always a big deal and signifies some of life’s most memorable moments. No matter the amount of the purchase, we believe our clients deserve a transparent buying experience that provides them with a proper education. When viewing diamonds or gemstones, understanding terminology, pricing, and quality allows you to ask the right questions and make an educated purchase that is right for you and your budget. When making such an important purchase we believe you deserve one-on-one service in a comfortable setting without the commotion of other shoppers. We are an appointment-only office, giving you the attention and privacy you deserve and allowing us to provide you with an unparalleled customer service experience. We will not be pushy; we believe it is our job to respect your budget, educate you, and guide you through this purchase, all while allowing you to make the purchasing decision that you are most comfortable and confident with. Keeping our overhead costs low, holding a thoughtful GIA-certified diamond inventory, and maintaining trusting relationships with diamond, gemstone, and jewelry manufacturers around the world is what allows us to have Denver’s most competitive pricing that retailers and designers cannot compete with. 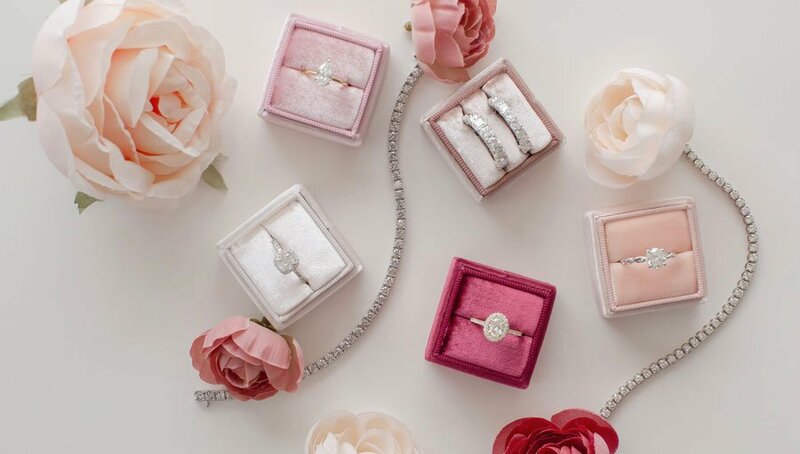 We believe purchasing an engagement ring or any piece of fine jewelry should be exciting and stress free. We have worked thoughtfully to create just that experience for you!